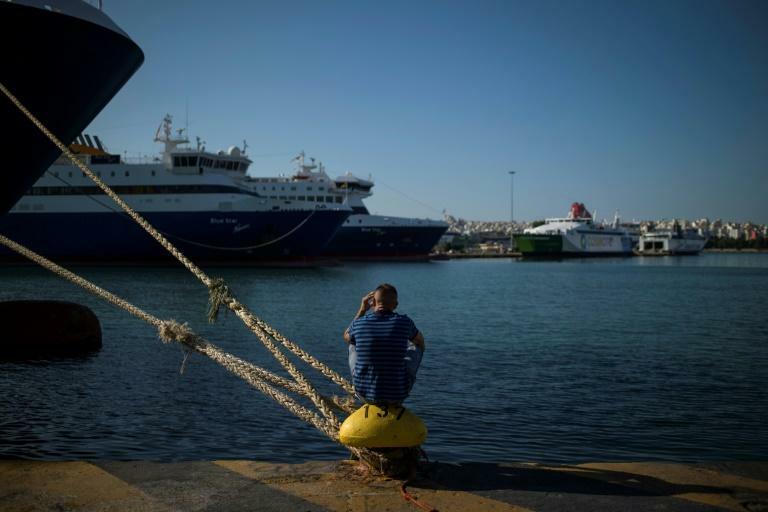 Greece's ferry services were set to resume on Tuesday afternoon, port authorities said, after unions clinched a two-percent pay deal and called off their strike. The stoppage had left tourists and locals stranded on Monday as the inter-island transport was brought to a standstill. In the short, but fierce dispute, the powerful Greek Seamen's Federation (PNO) demanded a five-percent pay increase, while the industry body SEEN offered only a one-percent rise in September, followed by another one percent next June. An initial 24-hour walkout on Monday drew strong support and high participation, leading PNO to announce it would prolong the walkout for a further 24 hours on Tuesday. But when the industry body SEEN increased its offer to two percent for 2018, unions accepted. The PNO said in a statement that the pay increase would be backdated to January 2018. On Monday, the ferry operators had complained the stoppage had created "serious problems". It was the first strike since Greece emerged last month from three international bailouts and eight years of deep spending cuts. Although budget cuts remain on the agenda, Prime Minister Alexis Tsipras last week pledged to increase the minimum wage, which had fallen to 586 euros ($680) a month from some 760 euros before the crisis.